NoMad is rapidly gaining a reputation as one of the go-to New York neighborhoods for design. Between the world-renowned architects and designers, who have offices in the neighborhood, and elegant showrooms replete with one-of-a-kind pieces, virtually everything you need to decorate your home can be found within steps of each other. Whether you’re in the midst of a redecorating project or just looking for a few items to spruce up your home, here are some wonderful décor and design shops in NoMad worth checking out. Originating in SoHo in 2008, Blu Dot has expanded its reach to multiple locations across the U.S. and around the globe. Its elegant 12,000-square-foot flagship is now located in NoMad at the corner of 28th Street and Madison Ave, offering a wide range of modern and contemporary furnishings for living, bedroom, dining, office and much more. Open to the public, Blu Dot also has a contract/trade section for designers. Purchases can also be made on its website. Monday – Saturday: 11 a.m. – 7 p.m.
Jung Lee began her design career as an event designer; her namesake gallery now extends her exquisite taste into the home design, décor, and hospitality space. Set in an intimate showroom that feels more like a home than a store, Jung Lee curates wonderful collections of dinnerware, serveware and other unique pieces from around the world to help you find your own sense of style in home hospitality. A unique entity in the world of design, kinder MODERN specializes in locating and curating unique vintage child design décor and pieces from the 1920s through the 1980s. It also works with a number of modern designers to offer an array of unique child-inspired and kid-friendly styles you won’t find anywhere else. Order pieces online or visit its studio/gallery on the sixteenth floor of 1133 Broadway. This Italy-based company offers contemporary furniture designs available in stores worldwide. In 2016, Poliform opened a flagship showroom in NoMad creatively laid out in the form of a real two-story home (except for the floor-to-ceiling storefront windows). 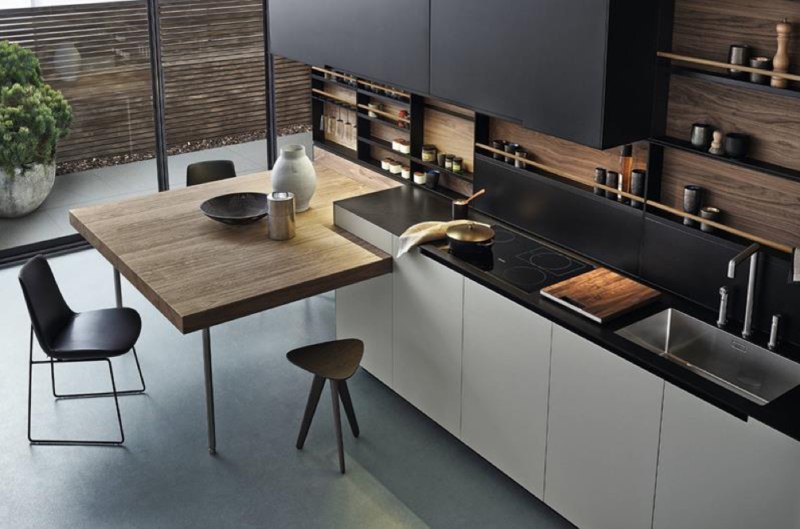 Categorizing its furnishings as “day” (living), “night” (bedroom) and “kitchen,” Poliform features sleek made-in-Italy designs perfectly suited for upscale city living. Focusing on mid-century and contemporary European furnishings by the world’s finest international designers, SUITE NY keeps an immaculate 8,000 square foot showroom on the 17th floor of a building at 419 Park Avenue South. Open to both the public and trades, the showroom is staffed with knowledgeable sales reps, who can guide you through the decision-making process to find the perfect pieces for your home, plus arrange for white glove delivery. Online shopping is also available via its website. Closes at 2 p.m. on Fridays between June 8th and August 31st.